Paula Margulies is the owner of Paula Margulies Communications, a public relations firm for authors and artists. She has received numerous awards for her essays and works of fiction, including her historical novel, Favorite Daughter, Part One, her first novel, Coyote Heart, and her short story collection, Face Value: Collected Stories. She has been awarded artist residencies at Caldera, Red Cinder Artist Colony, the Vermont Studio Center, and Centrum. Margulies resides in San Diego, California. For more information, please visit www.paulamargulies.com. 1) Where and when do you write? In my home office mostly, although I try to sneak away to artist residencies whenever my teaching and client work schedule will allow. I usually write on Sundays, but that all depends on how much life intrudes (and it does that often, believe me!). 2) Why did you write your book? I’ve always been fascinated with the story of Pocahontas, and since so much of her history has been told to us by English explorers like John Smith, I decided that retelling her story, from her perspective, might make for an interesting read. 3) There have been many books written about Pocahontas. How is this book different? There are a number of differing versions of the history of that time, and much of what we know about Pocahontas comes from the writing of John Smith and the other colonists, who reported on what they found in the new land when they returned to England. Favorite Daughter, Part One is based on my research on works about her by Native Americans, many of whom tell a darker tale than the English history. Also, there aren’t many fictional works about that time from a Native American perspective, and the majority of those that do exist are written for young adults. Favorite Daughter, Part One is written for adults and focuses on Pocahontas’s coming of age into womanhood and becoming a wife and mother, in addition to her work as a representative of her tribe and, eventually, as a celebrity in England (that part of her story will be covered in Part Two). 4) Are you of Native American heritage? No, both of my parents are of Italian descent. But my father, Douglas Roccaforte, loved Native American history and was a collector of American Indian artifacts, so I grew up with a deep appreciation of Native American culture and history. 5) Whose work inspires you? So many authors inspire me that it’s hard to choose! I’ve always been a huge fan of the Southern gothic – William Faulkner and Flannery O’Connor are my all-time favorite writers. As a graduate student in English Literature, I studied Hemingway, Fitzgerald, Bellow, Doctorow, Didion, Heller, and Pynchon. Recent authors whose stories have haunted me, stunned me, or made me weep: Sherman Alexie, Ha Jin, Vikram Seth, David Mitchell, Barbara Kingsolver, Louise Erdrich, Jane Smiley, Jane Hamilton, Sena Jeter Naslund, Anna Quindlen, and Elizabeth Berg. 6) What do you like to do in your spare time? When I’m not working on my publicity business or teaching classes, I enjoy meditation, reading, writing, and experimenting with artisan bread recipes. In the summer, I try to go to as many local Native American pow wows as I can (there are quite a few here in the San Diego area), and I’ve been known to enjoy an Indian taco (or two) on occasion. San Diego, CA – Book publicist Paula Margulies announces the release of her historical novel, Favorite Daughter, Part One (ISBN 978-0-9913545-2-8), a first-person retelling of the life story of the famous Native American legend, Pocahontas. 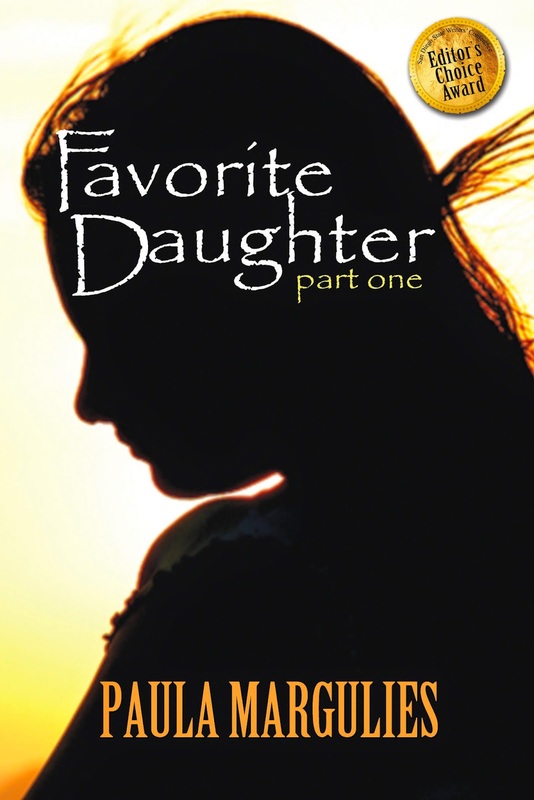 Prior to publication, Favorite Daughter, Part One received an Editor’s Choice Award at the 24th Annual San Diego State University Writers’ Conference. Set in the time of the Jamestown settlement and the English explorer John Smith, Favorite Daughter, Part One recounts the story of Chief Powhatan's daughter, Pocahontas, as she prepares to take her place as one of our nation's earliest leading women. Pocahontas invites readers to experience her native world when strangers appear on the shores near her village. From forging a relationship with the charismatic Smith, to experiencing love for the first time and creating a role for herself in her father’s plans for peace, this young princess takes us on a poignant and harrowing journey through the turbulent events of her life. Eventually betrayed by all of the men she loves, Pocahontas matures into a heroine of tremendous nobility, courage, and heart. Told in first person, in a voice brimming with compassion and wisdom, Favorite Daughter, Part One provides a compelling and personal look at the early days of one of the most remarkable legends in American history. The novel has received early praise from the historical fiction community, including historical fiction author, Mary Volmer, and former HarperCollins editor and historical fiction author, Kelly McNees, who writes, "The lyrical prose and complex characters of Favorite Daughter, Part One breathe vivid life into the remote place and time of Pocahontas's story. In Margulies's hands, this fabled girl becomes a flesh-and-blood woman, who seeks not just to be a dutiful daughter but to explore, fearlessly, the world beyond her village. I loved every page." No compensation was received for posting. This site is not responsible for the giveaway. 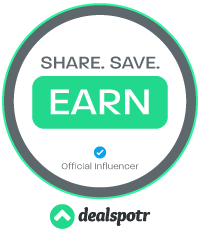 Opinions are owned by this site. Thanks so much for hosting me on your blog, Freda! I've had this book on my "to read" list from the first moment I heard about it....would LOVE to win it!! Sounds great! Oh how I wish there were more hours in a day so I could spend more time reading! Interesting to learn more about this important woman in history. Thanks for the giveaway.